We all know that city trees clean and cool the air and just make the neighborhood prettier. Now, a new study suggests they also deter crime. Using satellite images and a crime data base, researchers compared tree canopy to rates of crimes like thefts and shootings across Baltimore and found that a 10 percent increase in tree cover was correlated to a 12 percent drop in crime, even after controlling for such factors as income level and population density. A Philadelphia-based effort found a similar relationship. There, weedy, trash-strewn vacant lots are cleared, planted with trees and grass, and then mowed and maintained regularly, which has resulted in reports of safer streets from residents and a documented increase in neighborhood property values. The upshot? 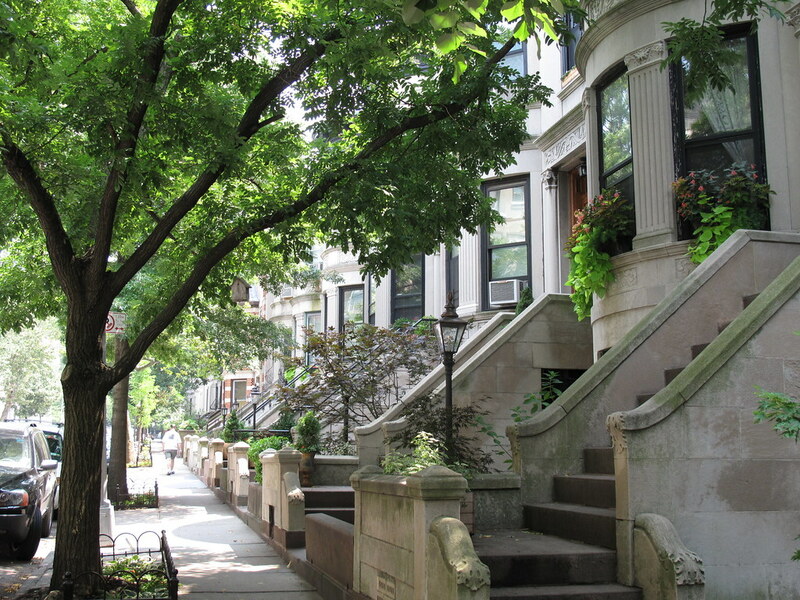 Incorporating well-tended trees and green space into a cityscape makes it a better place to live in a myriad of ways. Just one more reason to join the urban greening movement by entering Greenbridge’s Greenest Block in Brooklyn Contest, applying to become a Brooklyn Urban Gardener, or checking out BBG’s summer exhibit, Urban Garden. Greenest Block in Brooklyn 2011 finalist at 8th Street between 8th Avenue and Prospect Park West.